The Brisbane Cross River Rail project has taken another step forward with the appointment of a demolition contractor to the Woolloongabba site. The contract for the foreshore redevelopment of the Brisbane River foreshore has just been secured. Projectory attends a plan-unveiling for the development and can reveal preferred tenderers and dates for construction. Projectory gets to the bottom line on the multitude of contracts to be tendered out on one of Brisbane’s largest development projects. As one of Brisbane’s most historic pubs receives approval for redevelopment, Projectory details the construction and design firm’s project manager. The head contractor awarded a $170 million contract to build military vehicles in Queensland has confirmed to Projectory where and when tendering is to take place for the construction of a major military vehicle production facility. Projectory spoke to the tendering parties listed for the full scope of involvement in the high school upgrade award. A billion-dollar proposalto turn key Brisbane riverside location into a new leisure destination has progressed to the next stage with Projectory learning of the number of jobs going. 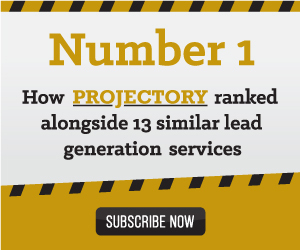 Projectory can reveal the list of preferred tenderers and consortia for the top priority project. Projectory learned that the shortlist of contractors to design and build the state’s biggest infrastructure project could be announced within a month.